Georgia is a state on the east coast of the US, right on the Atlantic Ocean, in the south right above Florida. It was named after King George II of England. Georgia's nicknames are the Peach State because they grow a lot of peaches, and the Empire State of the South because for a long time the state made a lot of money. The flag of Georgia looks kind of like one of the old flags of the US with 13 stars on it for the 13 original colonies of the US, but it only has 3 stripes. During the American Civil War one of the first flags used by the confederacy was just like that and was called the Stars With Bars. 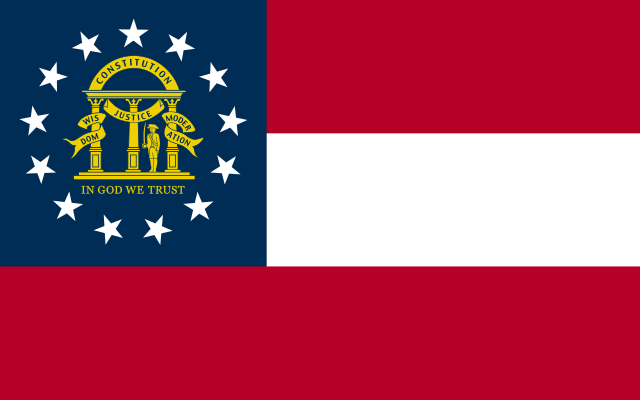 The Georgia flag also has a picture in the middle of the star circle, with the words: Constitution, wisdom, justice, moderation and In God We Trust. There are three pillars, and a soldier with a sword, dressed in a uniform like soldiers wore in the American Revolution. 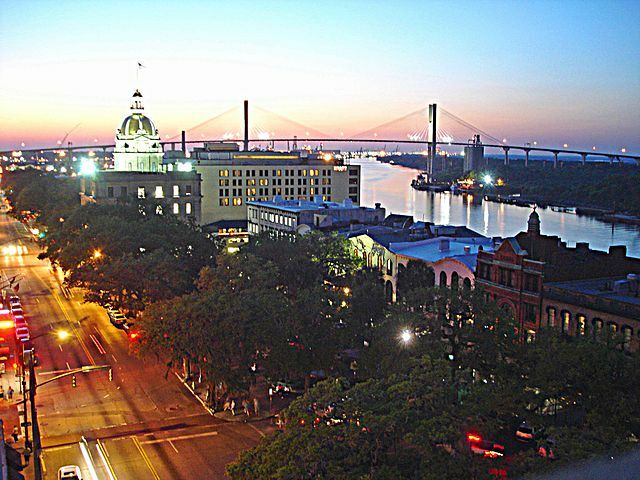 Savannah is a very famous fancy city in Georgia. 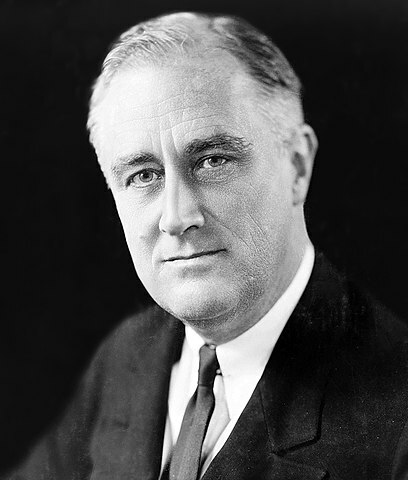 Famous civil rights leader Martin Luther King, Jr. was born and raised in the city of Atlanta, Georgia. One of the biggest aquariums in the whole world is in Georgia, with over 10 million gallons of water!